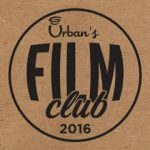 Urban Film Club is bringing you films thick and fast at Fargo! Our next one is Thursday 2nd June courtesy of Steve @ Sgt Bilko’s Vintage Emporium. This week we’re showing ‘The Thing from Another World’ (1951) followed by ‘The Incredible Shrinking Man’ (1957). We’ll have food served up until 7.30pm when the film starts! PrevPreviousEspresso Events Presents: Acoustic Sessions @ CS!